There is a shortfall in the definition of “medical complications” provided in the first article of the decree-law as follows: “The medical condition that appears on the patient during, or because of having the medical-care services by the service provider or at the place of health-care provision” so we suggest it be defined as follows: “The medical condition that appears on the patient during, or because of having the medical-care services or depriving him/her of them by the service provider or at the place of health-care provision, without any legal and scientific justification”. There is a contradiction in the ninth article on the limitations periods, as in the first paragraph of the mentioned article, the limitation period is 6 months from the date of death, whereas the fourth paragraph of the same article states that “prosecution can only be held during 12 months from the date of death”, noting that the two prosecutions are characterized by the unity of the subject and the liabilities. We suggest unifying the limitation period to become a year in both cases mentioned in the first and the fourth paragraphs of the ninth article. We noticed that the representatives of the regular citizen who do not belong to any trade unions, association, or organizations, are excluded from the medical committee mentioned in article 11, thus, we suggest adding a representative of the Customer Protection committee to the membership of the medial committee. We noticed that paragraph 6 of article 12 violates the guarantees of access to justice, as it singled out the medical committee and the minor committees among other in submitting the substantive servicing reports, and by that, it deprived the injured and his/her heirs of their rights to submit other substantive servicing reports, thus, we suggest omitting “exclusively” from the mentioned provision, noting that the last word in this regard is the competent court’s and that the mentioned provision limits the power of the court in its search for the truth. The unconstitutionality of paragraph 2 of article 16 what stated that “the High Committee of Grievances’ decision has to get a final validation from the minister, before being issued, and it is not subjected to any means of appeal” and this provision contradicts with the clear precision of the Basic Law, which stated in article 30 of it that: “1-Submitting a case to court is a protected and guaranteed right for all people. Each Palestinian shall have the right to seek redress in the judicial system. Litigation procedures shall be organized by law to guarantee prompt settlement of cases.2-Laws may not contain any provisions that provide immunity to any administrative decision or action or against judicial review.3-Judicial error shall result in a remedy by the National Authority. Conditions and methods of such remedy shall be regulated by law” which also contradicts with the constitutional rules that prohibit the immunization of any administrative decision from the judicial oversight. There is a shortfall in article 18 that states, “It is illegal to discharge the patient from the place of provision of health-care service unless his/her state of health permits that or based on his/her wish to leave the hospital, although the patient knows the consequences of his departure, on condition that a written acknowledgment of the patient or one of his legal representatives, should be submitted, and added to the medical record of the patient”, we suggest adding “ bearing in mind what is mentioned in paragraph 2 of the ninth article of this decree-law” in order not to mark the suggest draft as contradictory with the decree-law provisions, especially what is mentioned in the second paragraph of the article referred to, noting that saving a life is not limited to the willingness of the patient or the service provider. 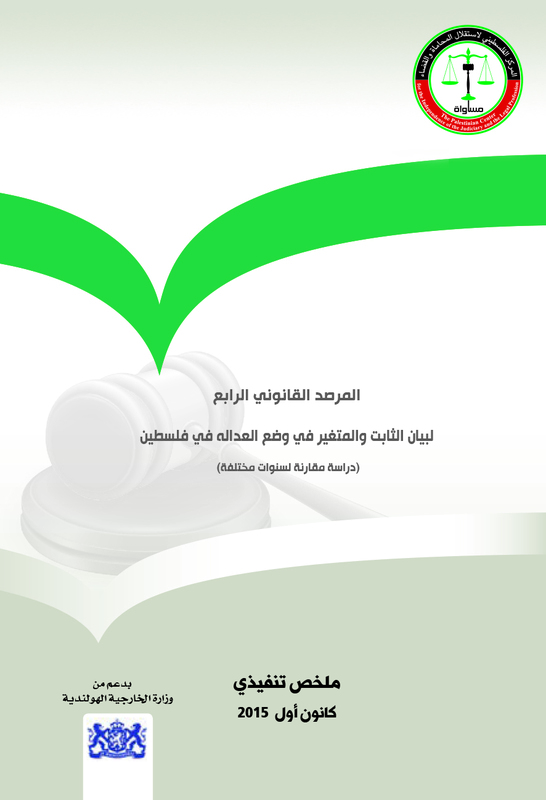 We believe that the content of article 24, which hold the service provider responsible for a financial compensation for the damages that emerged by the malpractice, was stated in an absolute formula that includes the governmental doctors, who are public employees, and thus the Ministry of Health or the government should bear the mentioned compensations alone, if the one who caused the malpractice is a public employee, what can lead the judge to commit a major professional mistake. The provision also did not mention that it is mandatory for the place of health-care provision, if it is privately owned, to provide insurance in case of accident malpractice, and in this case, the insurance company bears the cost of medical malpractice that may happen by the providers or the place of service provision. It is also possible to amend the provision in a way that obliges the precipitator of intentional the medical malpractice to bound to what is mentioned in the Insurance Act and the Labor Act, thus, the provision needs to be redrafted, on condition that the content of the provision should be written with respect to the points mentioned in this item. We believe that what is mentioned in article 25 on the responsibility of the manufacturers and distributors or suppliers over the damaged caused by a default in a medication that is stated under the concept of “the hidden default in the product”, what creates a need to clarify the concept of “the default” and to clarify the conditions of bearing the compensations by the manufacturers and distributors or suppliers in such a case, these conditions can include knowledge proof, or participating in the default production of the medicine. Hoping that you correct the mentioned shortfalls and gaps before enforcing the decree-law or issuing it or publishing it.